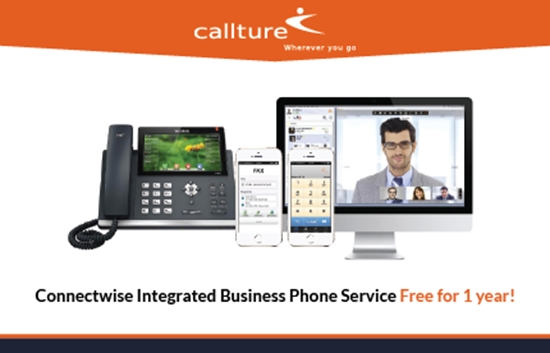 Callture is a phone service fully integrated with ConnectWise Manage. Make inbound and outbound calls right from ConnectWise Manage. We create pop-up tickets and customer records when you get a call from a client. After the call, we update Manage with the client’s name and length of the conversation. So at the end of the month, you can run reports and see how much time your technicians are spending with each client.